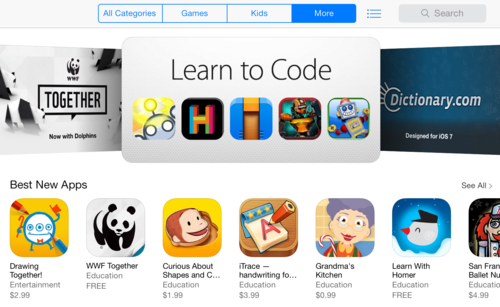 Kuato Studios is proud to announce that Hakitzu Elite has been featured as the top app in the iTunes “Learning to Code” section of the iTunes App Store for Educational Apps. A great start to Computer Science Education Week! Haktizu is great for students who want to learn code, but are not sure where to start. It’s a turn-based game of robotic combat where players learn the basics of coding while battling robots in both single and multiplayer missions. No previous coding knowledge is required as players progress from Beginner, to Coder, to Hacker. The braver the player is to input code, the more points are won, which in turn unlocks increasingly elaborate weapons for battles in the arena. Follow us on Facebook, Twitter and Google+ or join our mailing list on our website to be the first to know when the new version is out.